After reviewing The Nature’s Co hair oil and hair cleanser, today am going to review their hair conditioner. This conditioner is free from parabens, silicones and also cruelty-free. The Nature’s Co products are all vegan, PETA certified and come in recyclable, bio-degradable packaging. Do you know that their products do not contain milk, honey, beeswax and lanolin which are used by many other skin care brands terming them as “nourishing for the skin” 😕? 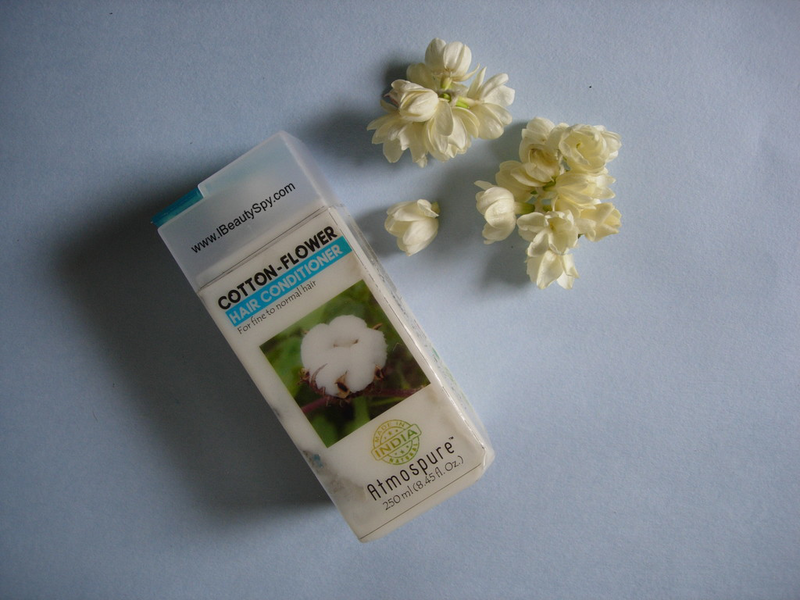 Now, let’s get on to the review of The Nature’s Co Cotton Flower Hair Conditioner. Add more volume and fullness to your crowning glory with our Cotton Conditioner. It is rich in proteins, sugars and vitamin B that adds texture, making hair look and feel fuller. It conditions and smoothens each strand leaving hair feeling soft and frizz-free. Apply after shampooing and leave it on for 1 to 2 minutes? Rinse hair well with cold water for a shinier look. Because it’s natural and gentle, you can use it daily. Cream Base, Aroma & Natural Preservatives Q.S. When I first saw the name, Cotton Flower Hair Conditioner, my curiosity was aroused. A conditioner containing cotton extracts? Maybe it will make my hair as soft as cotton 😀 The other ingredients vitamin B5, wheat protein and glycerin also looked impressive and I had high expectations from this conditioner. 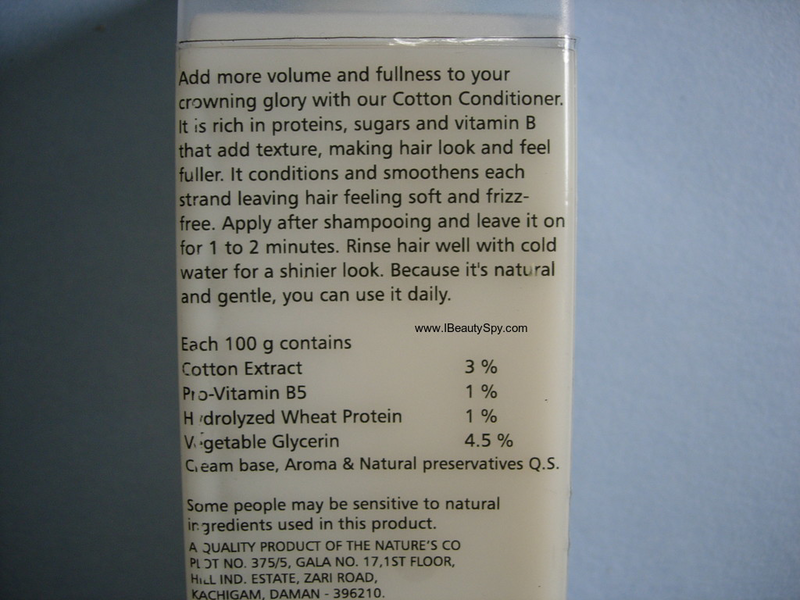 The Nature’s Co Cotton Flower Hair Conditioner is white in color, cream based with medium thick consistency. The scent is just like other products from The Nature’s Co, smell of some natural, herbal extract. It is not very pleasant. Since I like good smelling hair care products, I didn’t like it very much. But the smell indicates that there is no added fragrance and the product is purely made from natural ingredients which is a good thing. The conditioner comes in a really big bottle of 250ml which is going to last a long time for sure. Two dollops are enough for one wash. On applying, it helps to detangle hair and makes hair smooth. As claimed, it adds texture and makes hair look and feel fuller without weighing it down unlike other conditioners. But sadly it does not help to manage frizziness. When I used it along with The Nature’s Co Barley Volumizing Hair Cleanser, it was terrible as the shampoo caused a lot of frizziness and this conditioner was too light weight to handle them. But I have used this conditioner with other shampoos and it works well in that case. I picked up this conditioner specifically as it was mentioned for fine to normal hair. As my hair is very fine, many conditioners tend to weigh down my hair. Which is why I look for products which adds volume and fullness. I was very disappointed with Barley Volumizing shampoo in this regard. But this conditioner works well in that case. But don’t expect too much volume or fullness. It just helps your hair to be natural without weighing it down. Also it doesn’t impart any shine as claimed. I would recommend this conditioner for those who have fine, limp hair. Since it doesn’t combat frizziness, it is not suitable for dry hair. * Free from parabens and silicones. * Cruelty free and vegan. * Impressive ingredients list of cotton extracts, pro vitamin B5, wheat protein and glycerin. * Detangles hair and makes hair smooth. * Doesn’t weigh down fine hair. * Adds texture and fullness. * Gentle and natural to be used daily. * Doesn’t help with frizzines. * No shine or soft as claimed. Yes. If you are just looking for a gentle and natural conditioner. And if you don’t have dry, frizz-prone hair. Make sure to get hair advice from professionals before using these type of products. No, this bottle lasted me really long. I would like to try other variants from them. 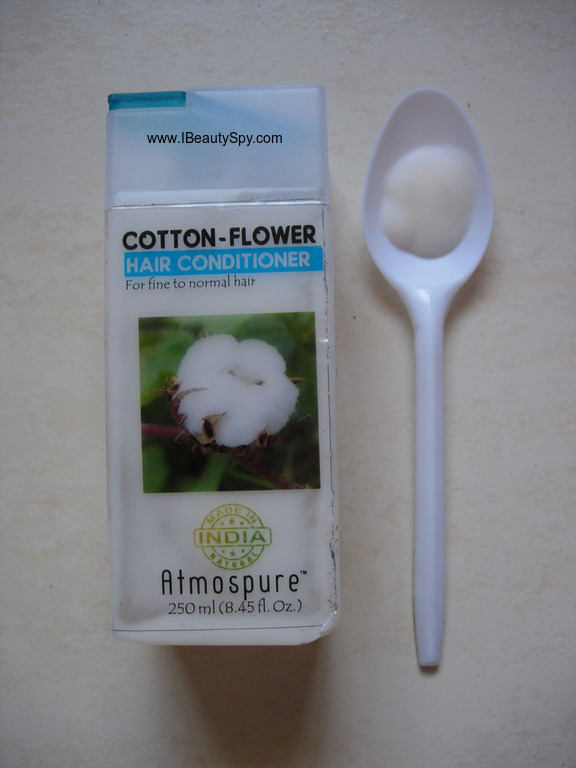 Overall, The Nature’s Co Cotton Flower Hair Conditioner is a gentle conditioner with natural extracts. It is good for fine and limp hair. But it doesn’t do any miracles as such. Just a regular conditioner with added advantage of it being paraben and silicone free. If you have frizzy hair, skip this. I had triedone of the nature’s co conditioner years back and it did not work for me at all. I’ve kept away from nature’s co since then. Nice and detailed review. Thank you Sukanya. Hair care range is average. But their body butters are very good.